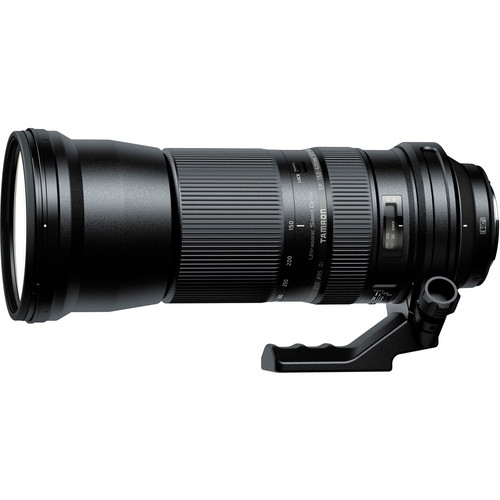 The Tamron SP 150-600mm f/5-6.3 Di USD Lens for Sony is an expansive telephoto-zoom lens designed for both full-frame and APS-C-sized image sensors. Its 4x zoom design covers standard telephoto to super telephoto perspectives, making it ideally suited to working with a wide variety of subject matter. A USM (Ultrasonic Silent Drive) autofocus motor provides quick and precise focusing performance, with high torque, low response times, and quiet operation to benefit both still and video applications. Additionally, a full-time manual focus mechanism enables manual fine-tuning of focus at any point, even when the AF system is engaged.